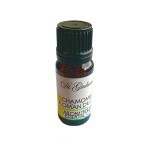 Essential Oils are a very consistent seller and the Di Giuliani range of essential oils represent ex..
Roman chamomile essential oil (Chammaemelum nobile or Anthemis nobilis) has been used throughout hi..
Citronella Essential OilUse for:Skin CareInsect RepellentNervous SystemImmune SystemCitronella oil i.. 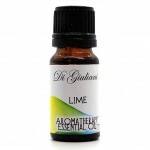 In aromatherapy, only the essential oil from the clove bud is recommended,whereas the leaf oil and s.. Geranium Essential Oil:Use forSkin CareCirculation muscles and jointsRespiratory systemGenito-urinar..
Jasmine Essential Oil - *diluted* - Use for:Skin CareCirculation muscles and jointsRespiratory syste.. 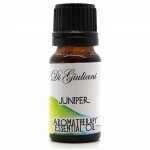 Lavender 100% Essential Oil: Use for:Nervous SystemSkin CareRespiratory SystemMuscles and JointsGeni.. Lemon oil is used by aromatherapists to promote both emotional and physical well being.Having a piqu..
Neroli oil is very relaxing and can relieve chronic anxiety, depression, fear, shock and stress and ..
Orange oil: Citrus sinensisImmune System: Orange aromatherapy essential oil can be used to help comb.. Skin Care: The main use for Patchouli aromatherapy essential oil is in skincare and the treatment of..
Peppermint is a cross between watermint and spearmint and is native to Europe. Historically, the her.. Circulation muscles and joints: Rosemary aromatherapy essential oil is often used in massage oils to..
Respiratory system: Sandalwood aromatherapy essential oil is thought to be a very good pulmonary ant.. The use of spearmint oil dates back to ancient times. This perennial herb originated from the Medite..
Ylang Ylang essential oil:Circulation : Ylang Ylang aromatherapy essential oil is reknowned as a gre..